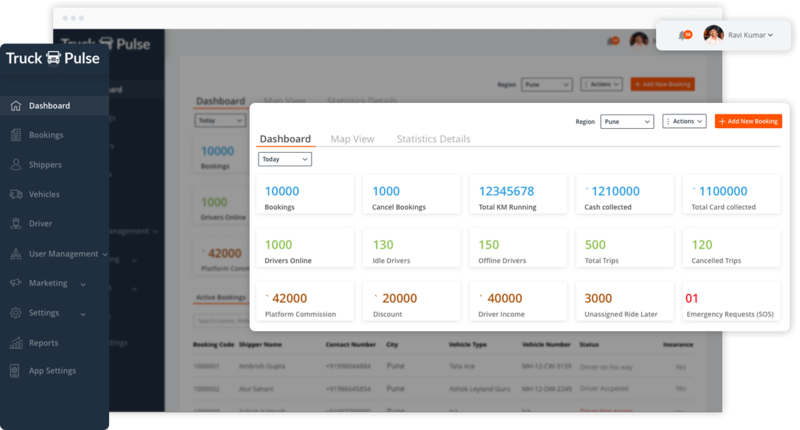 Our white label freight management software provides you a comprehensive trucking software admin panel to manage complete platform. Add/update driver information, view activity and performance, settle payments and more from the driver panel. Add/update all your trucks and freight vehicles, track them, view usage, maintenance updates and more from your trucking software. Add/update all your transporters, view respective bookings, legal documents and more from your custom trucking business software. Add/update all your shippers, provide support for each booking and more from your custom trucking business software. Get useful insights, stats, and key metrics to make data-driven decisions and grow your business with a custom-built Uber trucks app. We provide the best-in-class Truck dispatch system to transform the way trucking businesses manage today’s on-demand, mobile-first world.